If you Google “hate annual performance reviews”, you’re met with more than 29 million results. To many employers, the goal of an employer performance evaluation is viewed as a time-consuming avenue to create an accurate appraisal document to protect the employer in the event the employee is not meeting the job expectations (but how many managers are really being honest in their appraisals?) For some employees, this is the one and only time they meet with their manager, creating tension, fears, and unwanted stress, to discuss their performance and how they can improve. Is it possible to change how an evaluation is viewed, and delivered, that would make giving and receiving them less daunting? Join us as we listen to Cindy O’Neal discuss why and how she took on the task of reinventing the performance management system at The Center – Orthopedic and Neurosurgical Care, in Bend, Oregon. In addition, we have invited our colleagues from the City of Lake Oswego, City of Milwaukie, and from Northwest Senior Disability Services to share with us how they have redesigned their performance management system and the tools they currently use. Hear about the challenges they faced with managers, employees, and unions and the strategies they implemented to create a more effective and positive performance review experience. Cindy O’Neal is the Sr. Director of Human Resources for The Center - Orthopedic and Neurosurgical Care, in Bend. She has over 30 years of HR experience and has worked in multiple industries including semi-conductor, manufacturing, HR business services and healthcare. She also spent 15+ years teaching at several community colleges in California and at COCC in Bend. 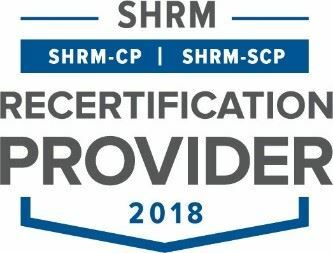 Cindy has a master’s degree in Human Resources Management/Development from Chapman University as well as her SPHR and SHRM-SCP certifications. In her free time, Cindy enjoys creating art quilts, yoga, and hiking. Anthony Hooper is the Deputy City Manager for the City of Lake Oswego. He has been with the City for 9 years and has worked his way up from his first position of Management Analyst. In his current duties, he also serves as Public Works Director and has a total team of 33 people. In addition, he helps lead the City’s budgeting, public outreach, and sustainability efforts. The main project he is currently working on is in pursuing a public-private partnership to potentially build a new wastewater treatment plant with the possibility of spurring redevelopment in an underutilized area that is neighboring the Willamette River. He has a Bachelors degree in Politics from Willamette University and a Masters of Public Administration from the University of Southern California. Megan Phelan started her public sector career in HR with the City of Wilsonville before taking the HR Director role in Lake Oswego 10 years ago. Five years ago she was promoted to Assistant City Manager and still serves as HR Director as well as overseeing the City’s other internal service departments. As Assistant City Manager, her focus areas include Emergency Management, Economic Development, and Diversity, Equity, and Inclusion. Megan has a Bachelor degree in Management from Eckerd College and a Masters of Business Administration from Marylhurst University. Her most notable accomplishment is getting rid of performance reviews! Gary Rebello is a talented and seasoned HR professional with leadership skills in culture change, workforce engagement, design and management of performance based systems. Gary started his career in public sector working as the HR Manager for Marion County. Over six years ago he started working for the City of Milwaukie as their Human Resources Director and played an integral role in implementing the City’s new performance management system. Gary also held positions as the Compensation Manager for Intel Corporation, VP of Human Resources for Mentor Graphics Corporate and the VP of Human Resources for LaCrosse Footwear Incorporated. He has a Bachelor’s degree in Political Science from Humboldt State University and a Master’s of Public Administration from California State University, Chico, as well as his SPHR and CCP certifications. Whether in Human Services or Human Resources, Eugene Plukchi’s career has always revolved around the “Human” part of it. Eugene began his professional HR work with Chemeketa Community College in 2001, helping candidates polish their job search skills at the Winema Job and Career Center located on College campus. While studying job and career services, he moved on to the College’s HR department in administrative support position where he spent working the next several years. In 2004, Eugene joined his present employer, Northwest Senior and Disability Services, and continued in a number of Case Management positions in the Human Services field. He received an opportunity to channel his appreciation for the work of the Agency into an HR Generalist role in 2012, and was entrusted with the leadership role of the Agency’s Human Resources in 2016. Troy Naylor is also a Human Resources Representative at NorthWest Senior & Disability Services, supporting Eugene’s efforts. He has enjoyed experiencing all of the positives and negatives of a Human Resources career over the past 30 years. Whether it’s good or bad, it’s always interesting. His career also includes time spent serving students at large public universities and attaining a Master’s degree in Higher Education Administration, but he returned to the employer side in 1996. Troy enjoys helping his employer “one employee at a time”, and recognized years ago that recruiting, performance management, compensation and benefits, and every other HR discipline is designed to benefit both the employer and employee.